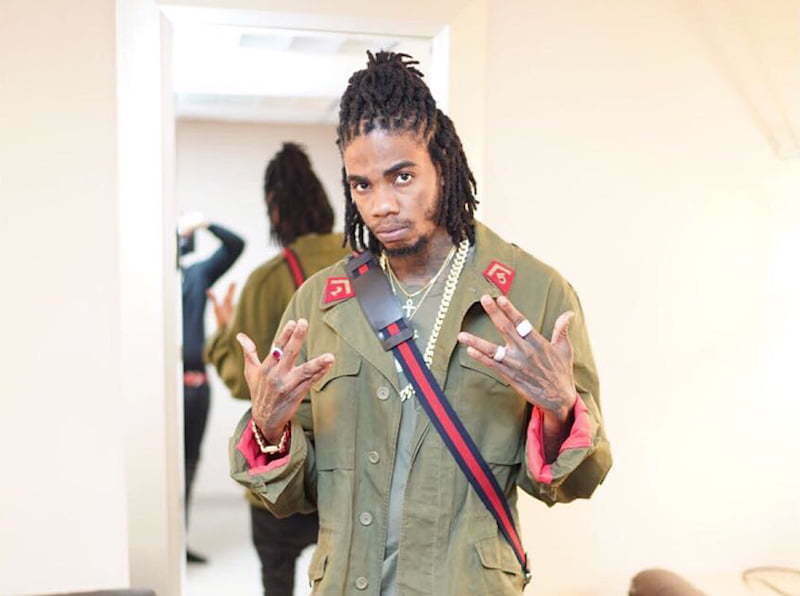 Alkaline may have stopped skin bleaching and dancehall fans are giving him two thumbs up. 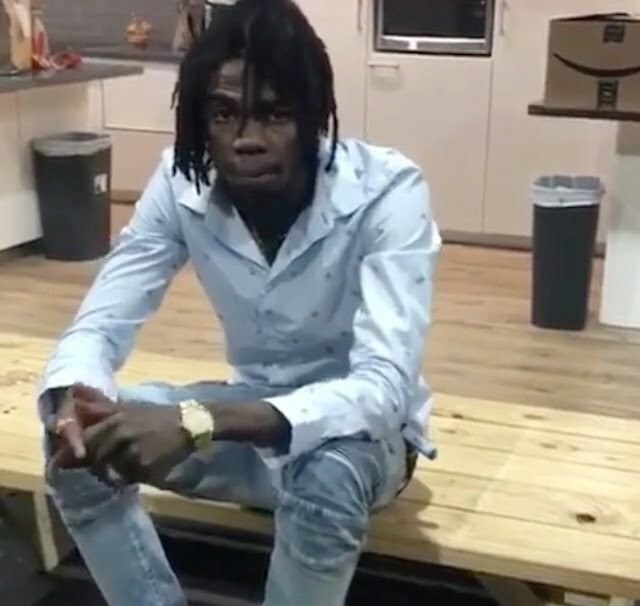 Alkaline started bleaching around 2014 when his career just started to blow up. Since then we’ve learned that his tattoo eyeball was fake and that he was wearing contacts as part of a scheme to fool his fans. We now learn that his skin bleaching was not permanent since the below video shows that he is getting back black. Here is a photo of Alkaline taken last month. Vybz Kartel is another dancehall artist famous for skin bleaching but his procedure seems like a more permanent solution since he has maintained his lightness six years after being in prison. There are some recently speculations that his skin bleaching remedy may have poisoned his body and has resulted in his hospitalization a few times since his incarceration. Drake reportedly drop $300,000 on a Hermes Birkin bag for his wife that he has not yet met. There are a lot of interesting things about Drake that the average fan may not know about and one of them is his habit of stockpiling some expensive Hermes Birkin bags for his future wife that he will meet one day. These bags can run up to $10,000 and Drizzy reportedly got one for a whopping $300,000. This girl doesn’t know it yet, but she she gets married to the 6 God, she will be well off. At one point everyone was rooting for Drake and Rihanna to one day jump the broom, but that on-and-off relationship seems to have ran its course and the Bajan pop beauty is now dating a billionaire. Not surprisingly, the Toronto rapper didn’t talk much about his romantic life which has always been under scrutiny, thanks to his love for women with big booty. Over the past few years, he has been linked to a number of women besides Rihanna, including some well known strippers like Malia Michel. Earlier this year, he was also linked to Jennifer Lopez but that seems like it wasn’t a serious romance. Drake is featured in the new issue of The Hollywood Reporter and in is spread he spoke about his retirement (one day). Drizzy also has his eyes set on Hollywood starting with a producing gig for Top Boy which will be reboot on Netflix next year. The rapper is also teaming up with Anonymous Content to produced a TV series. Anonymous Content is the production company behind Spotlight and Mr. Robot. Watch a short clip from the interview below. The mama anthem was produced by Jones Ave Record, the same producer behind his viral hit “Mhm Hm.” “She cook me food that make me stronger / I got to testify that mommy I love you / Gave me all woh whats the charge / She said no cost, she said I love you you / Thank you mama,” Kartel deejay over an upbeat dancehall riddim. Vybz Kartel told his fans at the end of the summer that he would be dropping a ton of new music leading up to the holiday season and he has been making good on his promise, dropping an average of two songs per week. He currently has around three songs in the top ten dancehall songs in Jamaica right now and this new track sounds like another hit for the Gazanation deejay. Listen Vybz Kartel new song “Thank You Mama” below. Shenseea has been having a phenomenal year in dancehall and it’s only getting better for the fast rising female deejay. Aside from scoring a number of hits for herself this year, Shenseaa also snatched up a few corporate endorsement deals for herself including deals from Pepsi and now FLOW. She is featured in a new holiday ad for FLOW with her 2-year-old son, Rajeiro. The advertisement features the dancehall deejay, real name Chinsea Lee, hanging with her family while juggling her her own personal business which includes recording a song using her phone. “This one is very special to me for two reasons first, because it is the first time I am appearing onscreen with my heartbeat, my darling son, Rajeiro, and also because I love the Christmas season, and I was happy to get an opportunity to show off my talent in another kind of way,” Shenseea said. FLOW VP of marketing, Carlo Redwood, said the company wanted to show off the more family oriented side of Shenseea, a side of her that fans haven’t really seen before. The Christmas advertisement is currently being run on local TV stations. SZA has had a great year and now she has more to celebrate after her single “The Weekend” goes platinum. The TDE singer gets her platinum plaque from the Recording Industry Association of America (RIAA) just before she celebrated her 27th birthday on November 8th. The single is featured on her debut album CTRL, which was released in June of this year. The project has been doing well since its released and SZA is already prepping her next big project. SZA previously earned another platinum record when her single with Travis Scott, “Love Galore”, sold more than a million copies in the United States. Her album CTRL is now certified gold and is on it’s way to getting platinum certification. She is also prepping her fans for a deluxe version of the album. “Ummm NEVER THOUGHT I’D SEE ONE UH THESE LET ALONE 2!! Thank u more than words !! Ya did it !! #TDE,” she wrote on IG.